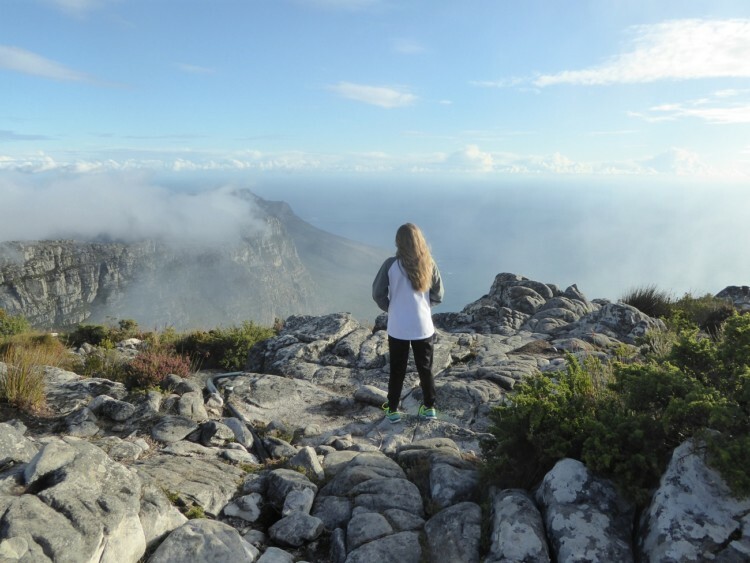 Photo by Jamie Bartosch/Suburban TravelingMom Clouds roll past you when you stand atop Table Mountain, in Cape Town, South Africa. Cape Town, South Africa is a stunningly beautiful city. 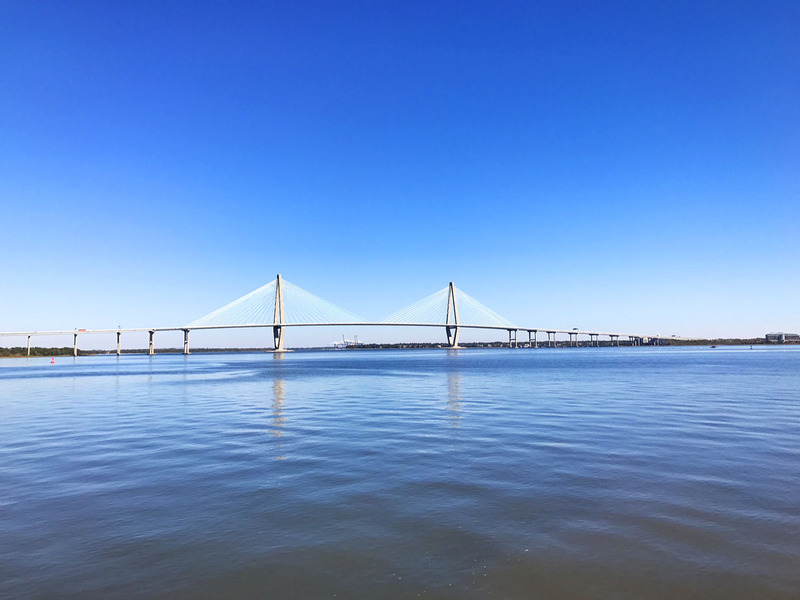 Besides its scenic mountains and gorgeous beaches (including one that’s filled with penguins), the city has incredible, fun, can’t-do-anywhere-else-in-the-world activities for families. 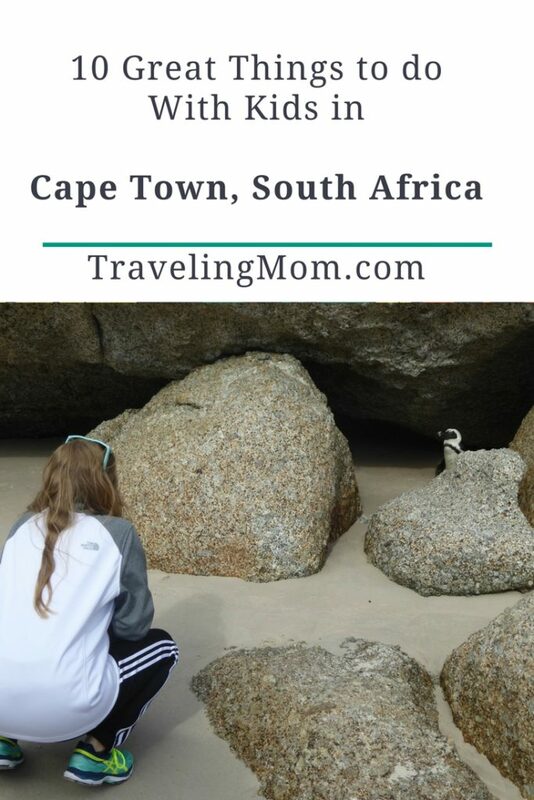 Suburban TravelingMom offers these 10 great things to do with kids in Cape Town, South Africa. Hundreds of penguins play on Boulder Beach, near Cape Town, South Africa. South Africa is the most incredible place I’ve ever visited. The culture, the people, the history, the natural beauty and, of course, the animals, make it a bucket list destination. If you’re traveling to South Africa for a safari, Cape Town makes an excellent first stop. It’s also a good place for Americans to get acclimated to Africa. After my first day in Cape Town, I remember thinking to myself, “It doesn’t really feel I’m in like Africa.” That’s because we were staying in a touristy area called the V&A Waterfront. After a 31-hour trip from Chicago, we spent our first day lounging around our hotel, Sun International (a lovely hotel which I highly recommend). The area was filled with Westernized malls, restaurants, shopping and a food court with familiar fast food chains. I remember feeling a little disappointed. That all changed once we ventured away from the V&A Waterfront. We found Cape Town to be a gorgeous, fascinating and very African city to explore. We visited in July 2016 (winter in South Africa), with my mom and my 13-year-old daughter. I loved everything we saw, but not all of it was kid friendly. 1. 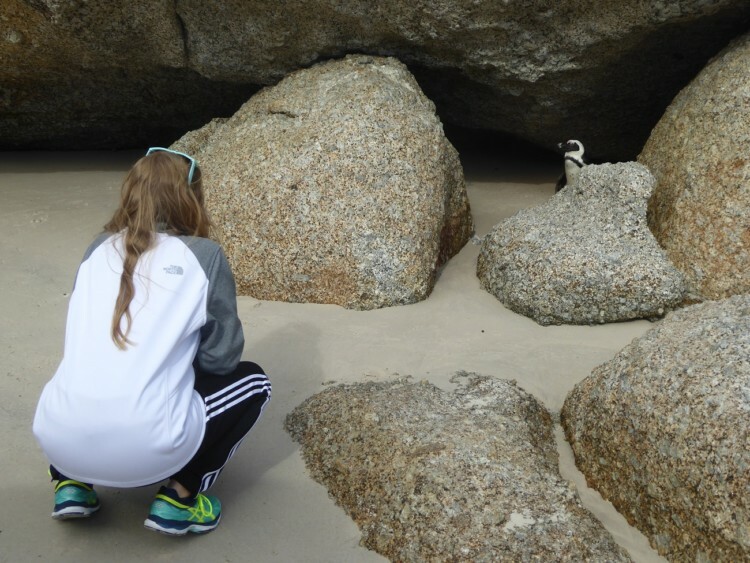 See the penguins on Boulder Beach. 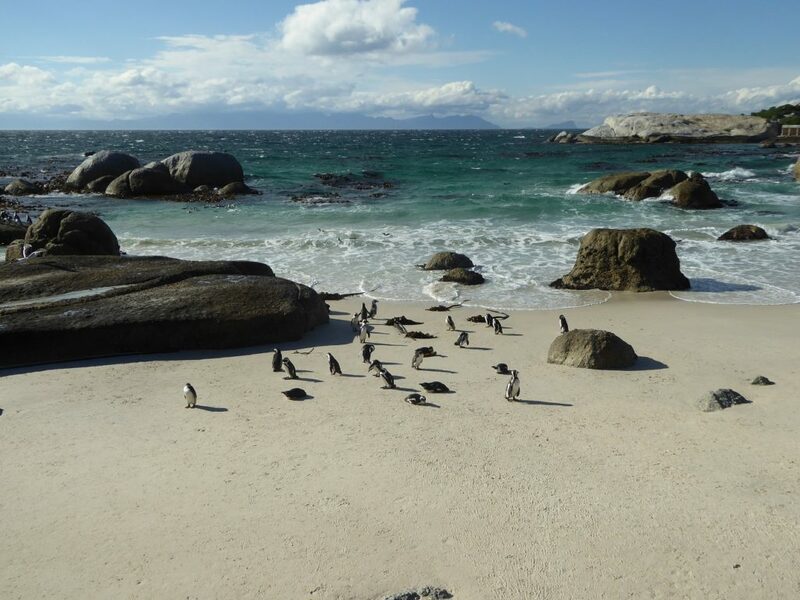 This scenic boulder-covered beach, just outside of Cape Town, is home to thousands of penguins. There are hundreds of them walking around in a marked off area, with an observation deck. You can get closer to them on the beach, but they’re afraid of humans, so they’ll scurry away. Walk along the wooden path along the beach, and you’ll see tons of them hiding in the bushes. You’ll feel like you’re on top of the world! 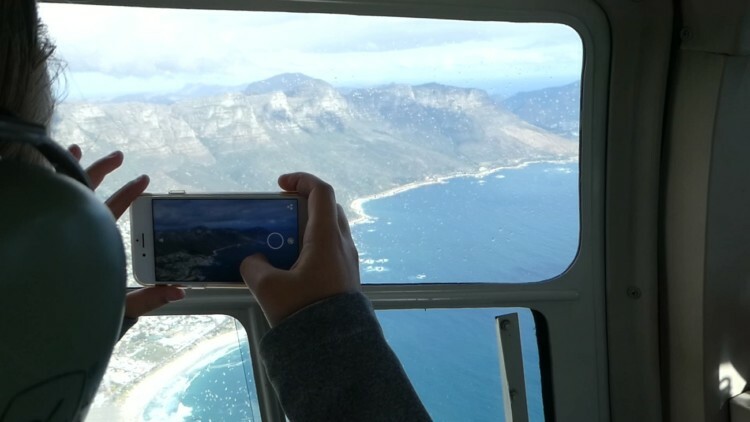 Ride the enclosed cable car, which slowly spins to provide 360-degree views on your way up to the top of the famous, flat-topped mountain that hovers over Cape Town. Then walk the perimeter path and take photos of the stunning views. 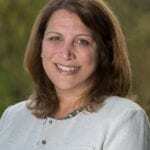 TravelingMom TIP: the cable car lines can be very long, and it’s important to buy tickets online in advance. Also, it’s windy and considerably colder at the mountaintop. Bring a jacket! While we didn’t do this, I wish we had – you can go down Table Mountain on scooters. South Africa’s most popular sport plays a role in its history (rent the 2009 Clint Eastwood-directed movie “Invictus,” starring Morgan Freeman and Matt Damon, for a good overview). The national team Springbok plays at a stadium in Cape Town’s Newlands neighborhood. You can also visit the Springbok Experience museum in the V&A waterfront area. The interactive museum includes not only exhibits but a place where you get to simulate what players do, including passing and kicking. We arranged a private tour of this township through our tour operator, Giltedge Africa, from a young man who grew up here. 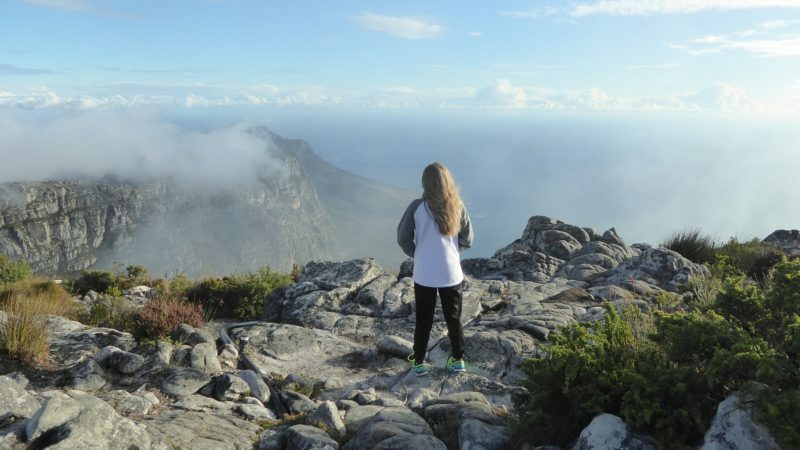 It was a powerful experience and reality check for my 13-year-old and me, which is why it made our list of things to do with kids in Cape Town. 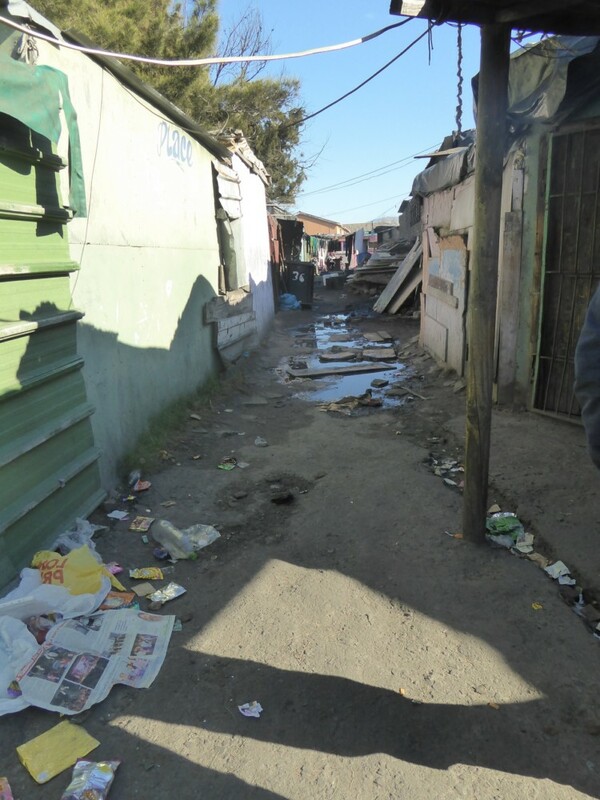 The townships are very poor areas of town with rows of dilapidated homes made of scrap materials. They played an important role in the country’s history and struggles with apartheid. Langa is the oldest township in Cape Town, and it’s how many South Africans live. The most surprising part of this tour? Everyone seemed so happy. When we drove past a school, all of the children playing outside ran up to the fence and crazily waved and shouted hello. We met some of the residents and the children did a dance for us, before we handed out Jolly Rancher candies and little gifts we brought from the U.S. They were such tiny gifts, but they made the children so happy. 5. Take a helicopter ride. It’s a splurge (but less expensive than helicopter rides in the U.S., thanks to a strong U.S. dollar), but it is so fun! The views of Cape Town are AH-MAZE-ING. 6. Ride the Cape Wheel. Touristy, yes. But fun, yes! (plus, a portion of the ticket proceeds goes to a local charity). Located in the middle of the V&A Waterfront area, this new enclosed Ferris wheel gives you spectacular views of Robben Island, Table Mountain, and the coastal area. 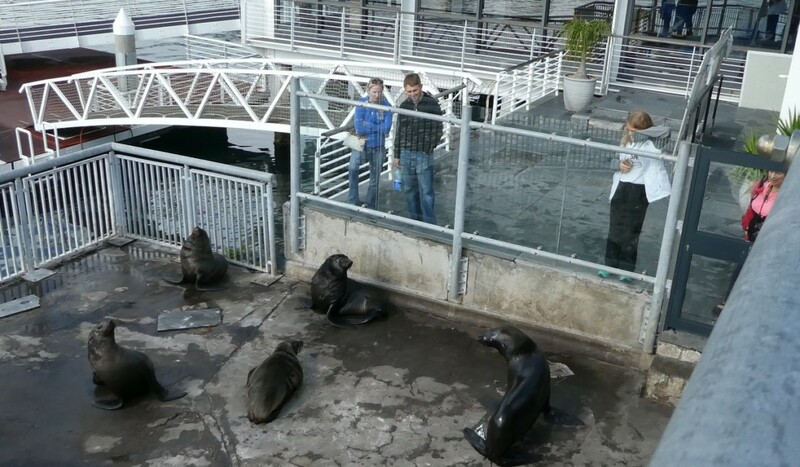 You can watch the seals lay around and play at the V&A Waterfront in Cape Town, South Africa. Just a short walk from the Cape Wheel is an enclosed viewing area where you can see more than a dozen seals sunbathe, squawk at each other, and climb in and out of the water. They’re entertaining! 8. Kirstenbosch National Botanical Garden. It’s hailed as one of the best botanic gardens in the world. A great place for little kids, the farm has chickens and horses, entertainment, upscale shopping and great food. Looking for things to do with kids in Cape Town? Head to the beach! This city offers 72 beaches, all free (except for the penguin-filled Boulder Beach). Muizenberg is a family-friendly choice, with water activities and surfing lessons. For more on my trip to South Africa, read my TravelingMom post about other not-to-be-missed places.